As if the 718 twins weren’t already grin-inducing performers, Porsche has given us 15 more reasons to love both the Boxster and Cayman and it’s summed up in three letters: GTS. New for 2018, the 718 Boxster and 718 Cayman GTS models offer a host of visual and performance enhancements, and yes, that includes an extra 15 horsepower. The increase is courtesy of a new intake plenum and a tweaked turbo that push total GTS output to 365 horsepower, which is 35 more than previous GTS offerings. Torque also goes up to 317 pound-feet, and is available from a broad 1,900 to 5,000 revs. Best of all, for those who still want to row their own gears, Porsche’s six-speed manual is the standard box with a seven-speed PDK dual-clutch transmission available as an option. With such upgrades, Porsche says both GTS models can run 0-60 mph in 3.9 seconds, en route to a 180-mph top speed. 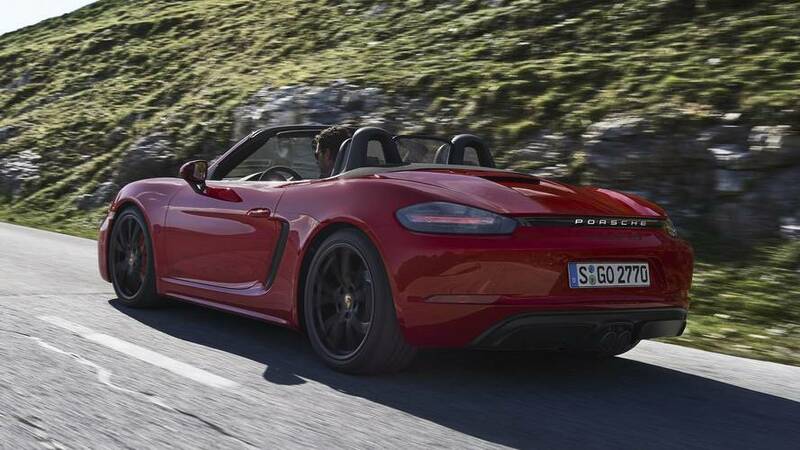 Performance is further enhanced with features like the company’s Active Suspension System and Porsche Torque Vectoring with a mechanical rear differential, both of which come standard on the GTS. The extra hustle is accompanied by the expected suite of visual upgrades as well. A sport front fascia is flanked by tinted indicator lamps and taillights. The darkened theme is continued with a black lower rear fascia, black exhaust tips, black 20-inch wheels, and black badging around each model. Inside, GTS drivers will enjoy the centrally mounted chronometer as part of the Sport Chrono Package, which is standard equipment. Seat centers get the Alcantara treatment, along with the center console armrest, door armrests, and steering wheel rim. Seat headrests get embroidered GTS logos. Everybody likes more power and a bit more bling, but how much extra will GTS models cost? 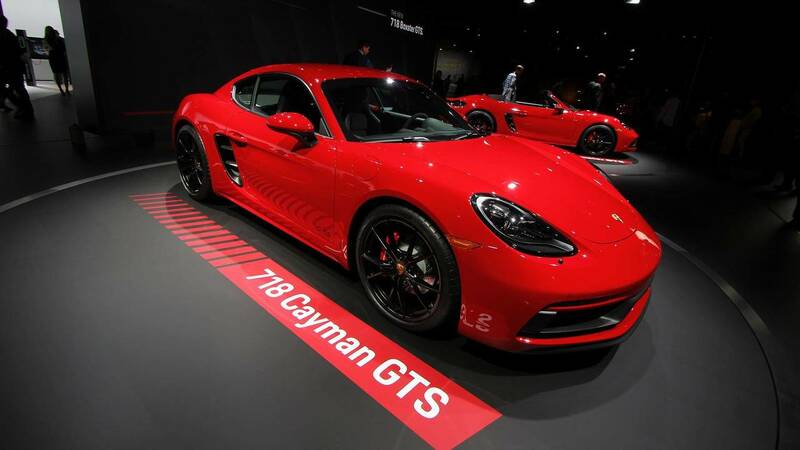 Pricing for the 718 Cayman GTS starts at $79,800, with the 718 Boxster GTS checking in just a bit higher at $81,900. For the record, that’s roughly a $10,000 premium over the base price for each model in S trim, though once you include the optional extras that are standard on the GTS, the price jump isn't so dramatic. Porsche says both the 718 Cayman and Boxster GTS are available for order right now, with deliveries expected to begin in March 2018. 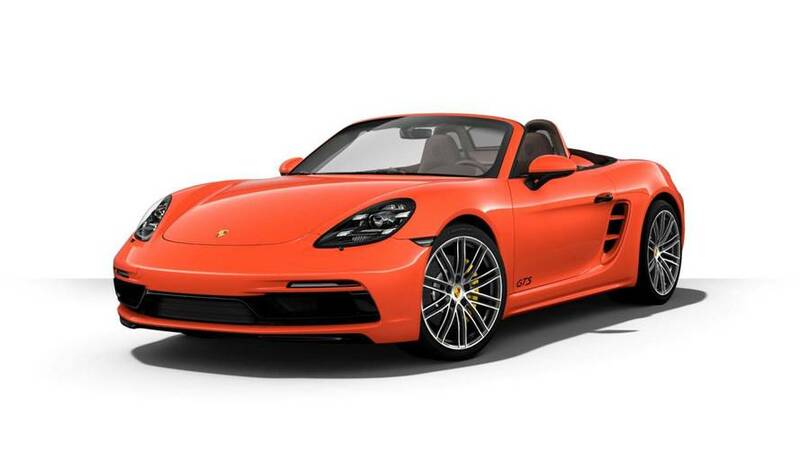 ATLANTA, Oct. 17, 2017 /PRNewswire/ -- Porsche is expanding the mid-engine 718 Boxster and 718 Cayman model lines with new GTS models. A newly developed intake plenum and an optimized turbocharger increases the output of the 2.5 liter flat-four cylinder engine to 365 horsepower. This is 15 horsepower more than on the 718 S models and up to 35 horsepower more compared to the previous generation of naturally aspirated Boxster and Cayman GTS variants. 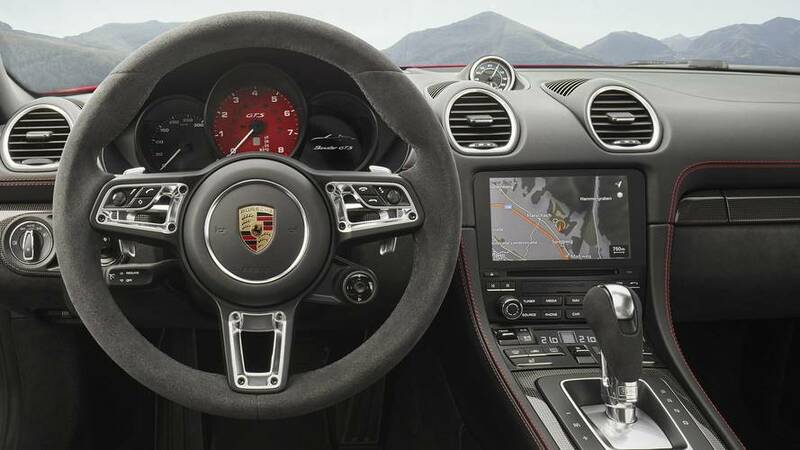 Like all 718 model variants, the new GTS derivatives come standard with a six-speed manual transmission. 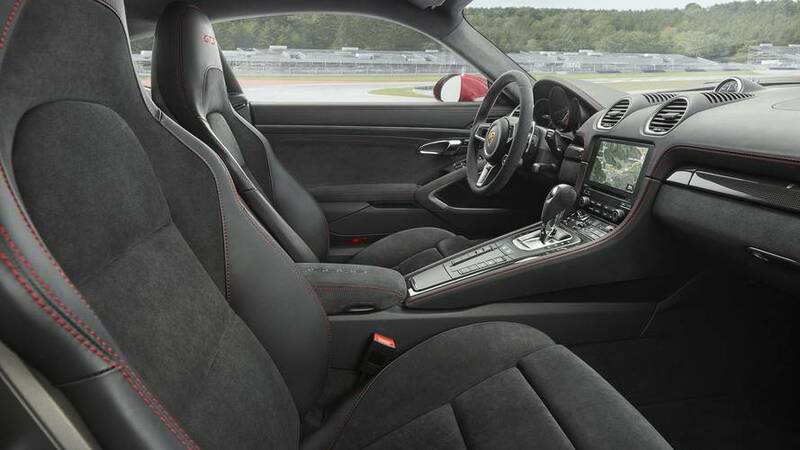 The seven-speed Porsche Doppelkupplung (PDK) dual-clutch transmission is available to order as an option. 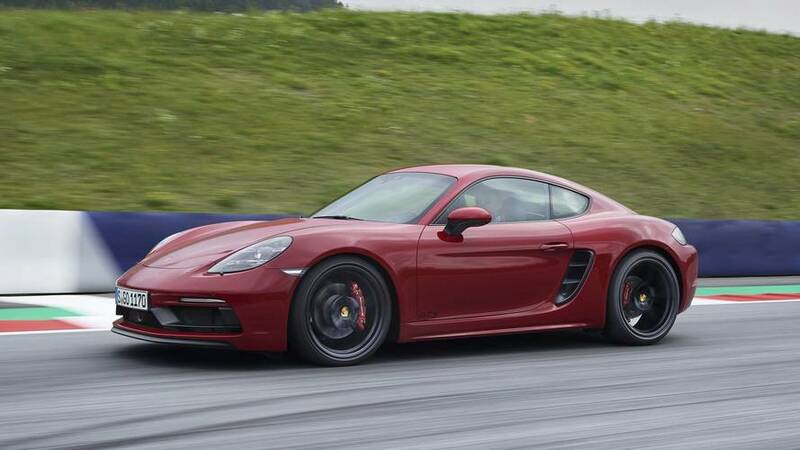 A number of performance-enhancing options such as Porsche Torque Vectoring (PTV) including a mechanical rear-differential lock or the Sport Chrono Package are standard on the GTS models, as well as Porsche Active Suspension Management (PASM), which reduces the ride height by 0.39 inches (10 millimeters) compared to the standard suspension on other 718 Boxster and Cayman models.